It’s not camping byelaws that are needed on Loch Lomondside but a complete shake-up of the National Park management structure, says Cameron McNeish. LIKE many others I was hugely heartened when the delegates at the Scottish National Party autumn conference voiced their concern at the Government’s proposals for Land Reform. First Minister Nicola Sturgeon had promised a radical land reform agenda would be a key objective of the Scottish Government, but it would appear that civil servants had watered down the government’s proposals to such an extent they were barely recognisable. I sincerely hope, especially with the SNP’s political dominance in the Scottish Parliament, that the Land Reform proposals are returned to a radical agenda and finally allow Scotland to be rid of some of the feudal and medieval practices that many tenants of the land have to suffer. 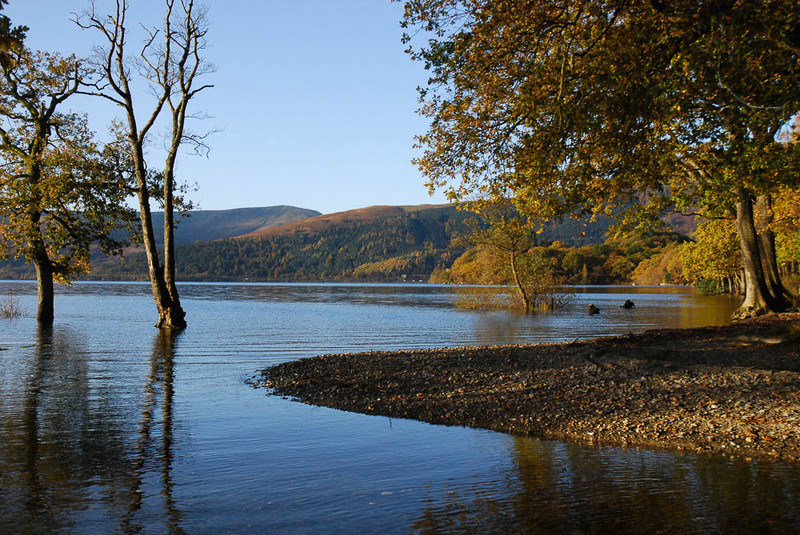 But before that happens I believe the Scottish Government, and in particular Dr Aileen MacLeod, the Environment Minister, has to take a very firm grip of the management of the Loch Lomond & Trossachs National Park. The National Park board is made up locally elected individuals, local councillors and appointees of the Scottish Government, and appears to struggle to meet the normal standards of governance expected of a public body in Scotland. Interestingly, there is nobody on the Board who is recognised as an expert on outdoor recreation and commands the respect of recreational organisations. Climbers, hillwalkers and those who camp (backpackers, bikepackers, anglers and canoe campers) have no representation at all. This is despite the fact that for many long and weary years it was essentially hill-going folk who campaigned for Scotland’s traditional de facto access rights to become enshrined in law. At the same time we campaigned religiously for the creation of Scottish National Parks here in the birthplace of John Muir. When the Scottish Parliament was reconvened it was strongly felt that National Parks and a freedom-to-roam were two things that could be ‘given’ to the people of Scotland, two issues that would never have been sanctioned by a Westminster government with so many land-owning interests. Indeed, Lord Mansfield of Scone, a Scottish Office Minister in Thatcher’s Government of the early 1990s, told an Inverness land use conference that “Scotland will get National Parks over my dead body”. So how ironic is it that the chief instigator in an attempt to erode the access provisions of the highly popular and successful Land Reform (Scotland) Act 2003 should be the Board members of our first National Park? Before overhauling the Land Reform legislation the First Minister and the Environment Minister should be making it a priority to safeguard the existing access provisions of the Land Reform Act and prevent any diminution of the achievements of the Scottish Parliament existing Land Reform programme. Government approval of the LL&TNP’s proposals for wild camping byelaws would damage land reform progress and drastically reduce the opportunities for public enjoyment of the outdoors. I’ll mention some recommendations to the Scottish Government in a moment but first let’s take a look at this LL&TNP Board and examine its deplorable record of public service. 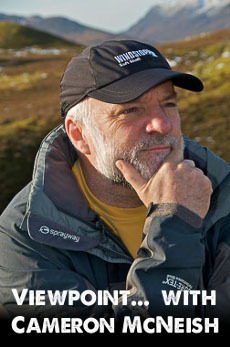 Thanks to the vigilant efforts of Nick Kempe, a former Board member of Scottish Natural Heritage and a former President of the Mountaineering Council of Scotland, and extensive use of Freedom of Information legislation, it has become evident that appropriate standards of transparency, integrity and balance between private and public interests have been frequently lacking in many of the Board’s activities. For example, the failure of the Vice Convener of the Board and Chair of the Planning Committee to declare his multiple purchases of shares in the Cononish gold mine venture near Tyndrum at the same time that planning decisions on the goldmine were being made – he subsequently resigned from the Board as a result of a media investigation. And in direct relation to the proposed camping byelaws I believe there have been a significant numbers of failures in governance, including: misuse of Police statistics even after being advised that that they did not show what the Park purported; failing to hold former and current chief executives to account eg for misleading statements in the media; failure to analyse data held by the Park from its Ranger patrols and instead selectively quoting from this; existing plans, eg for camping development, being changed by staff outside governance processes; the decision making process taking place in secret, with ten Board ‘briefings’ taking place between the two public Board Meetings at which the proposed byelaws were discussed; manipulation of the outcome of the Your Park consultation and failure of the Board to scrutinise obvious inconsistencies in the papers sent to Ministers. Finally, there has been a distinct lack of clarity around the personal interests of Board Members. All of these points, and many more, are contained in a document signed by Nick Kempe, Dave Morris, formerly director of Ramblers Scotland, the former MP and independent MSP Dennis Canavan and myself, and has been delivered to the First Minister Nicola Sturgeon and the Environment Minister, Dr Aileen McLeod. Our advice to the Scottish Government is concise and clear. The camping byelaws issue points to a clear need for effective, coordinated government action to help the National Park out of the cul-de-sac into which it has driven with the camping byelaw proposals. The essential first step must be the abandonment of the camping byelaw proposals. We already have strong legislation in place to deal with the kind of problems the Park Board wants to solve with byelaws – litter, vandalism, loutish behaviour etc, but the Scottish Government also needs to support the Park in the development of an adequate camping infrastructure over the next ten years, even if that means compulsory purchase of suitable locations. And I’m not referring to chalet parks, which the National Park has in abundance, but low cost camping facilities for outdoor recreational users. However, we have discovered that such an infrastructure is likely to be blocked by landowning interests, including the biggest landowner in the National Park, the Forestry Commission. Forestry Commission Scotland could potentially transform the camping situation if it gave greater priority to recreational management in this area as it has done in other parts of Scotland. 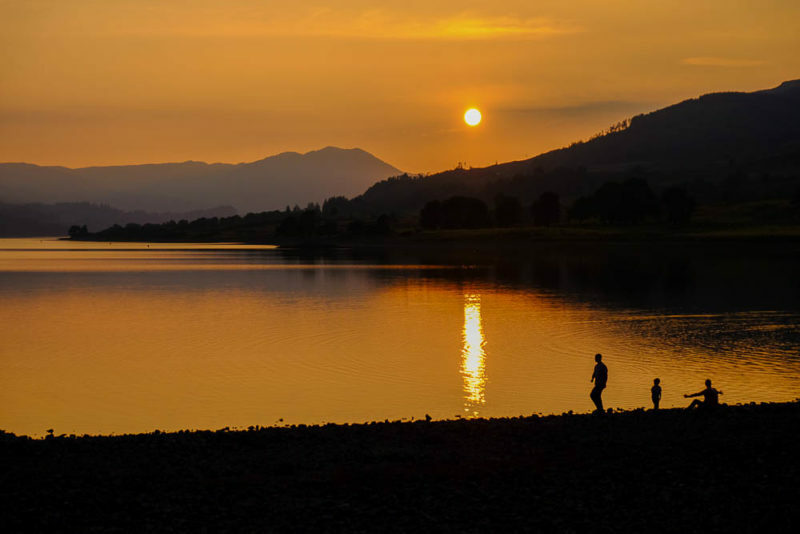 It took a grossly deteriorating situation around East Loch Lomond to make FCS facilitate the development of the first informal campsite at Sallochy. But now the Commission appears to be extremely reluctant to make further progress with camping provision, despite the fact that one of the contributing factors to the problems in the area is a severe lack of camping, toilet and litter collection facilities. In its response to the Your Park consultation FCS clearly claimed they had no money to spare to help out with further campsite provision, yet the Commission managed to find £7.4 million to buy an area of forested land from Rothiemurchus Estate in the Cairngorms to continue doing exactly what Rothiemurchus had been doing for the past several decades! The deal was done in complete secrecy, with no opportunity for scrutiny by any local or national bodies not connected to the Scottish Government.” What’s all that about? There is also a clear antagonism on the part of many FCS staff members to members of the public camping close to public roads. This is reflected in the incorrect statement on its website where it claims that such camping is “not allowed” under the Scottish Outdoor Access Code. Indeed I have seen Forest Enterprise signs in laybys that claim camping next to your car is illegal. FCS do not seem to accept that the repeal of the camping prohibition in the Trespass (Scotland) Act 1865 did not just apply to land at a distance from the roadside. The 2003 Act plus detailed guidance on informal camping, produced by SNH in 2008, makes clear that statutory rights to camp apply from roadside to loch shore or mountain summit, subject to the guidance contained within the SOAC. It would appear that FCS attitudes are having a negative influence on the process of land acquisition for campsite provision in the LL&TNP. 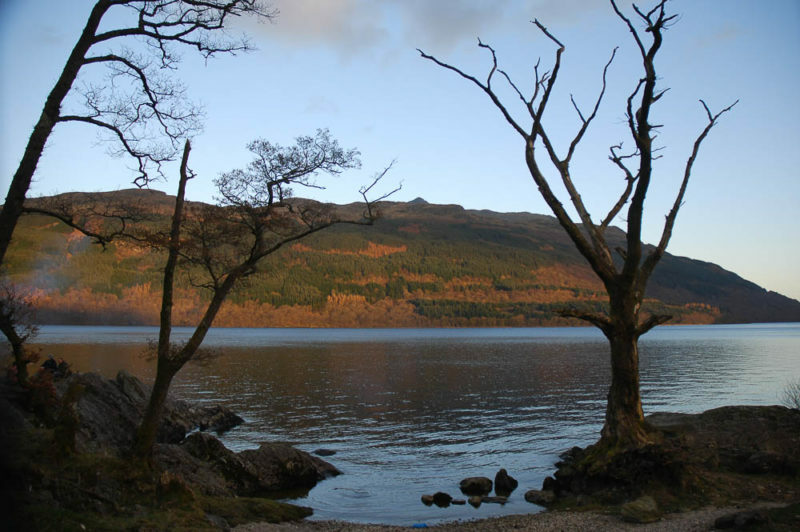 There are indications that it refused to allow the Sallochy camp site development to proceed unless camping byelaws were put in place along the east shore of Loch Lomond before the development became operational. So it’s hardly surprising that private landowners are now following suit, thwarting the efforts of the Park to secure land for campsites unless the Park agrees to impose camping byelaws on the rest of their easily accessible property! Such difficulties with landowning interests in the Park have echoes elsewhere in Scotland, where efforts to acquire land for new paths are being thwarted by private landowners who will not agree to this unless they can keep the public off the rest of their land. This, of course, would be contrary to the 2003 Act – unless byelaws are put in place to prevent such access, a hugely controversial move. As with the National Park, such difficulties with private landowners are probably best countered by the regular use of compulsory purchase powers to secure the relatively small areas of land that are needed for paths, campsites etc, as happened fairly recently with a section of the Speyside Way in the Cairngorms National Park. The Scottish Government also needs to reaffirm the access framework set out by the 2003 Act and endorsed by the Land Reform Review Group. This must include advice to the Park in making improvements in its relationships and engagement with recreational interests, both local and national, and its own Local Access Forum! Further advice is needed on how to improve its educational work and on building effective relationships with other public bodies such as SNH, FCS and Police Scotland. This ultimately points to the need for Cabinet level agreement within the Scottish Government on how to restore public confidence in this failed National Park. Such agreement will require coordinated action between the three Cabinet Secretaries with relevant responsibilities: Richard Lochhead (Rural Affairs); Michael Matheson (Police Scotland) and Shona Robison (Health and Sport). MSPs and others who share our concerns about the camping byelaw proposals may wish to make representations to these three Cabinet members, in addition to the Environment Minister (Dr Aileen McLeod) who has direct responsibility for the byelaws decision. That decision is likely to be made early in the New Year. For the sake of Scotland’s growing international reputation as a first class destination for outdoor activities, let’s hope it’s the correct one.